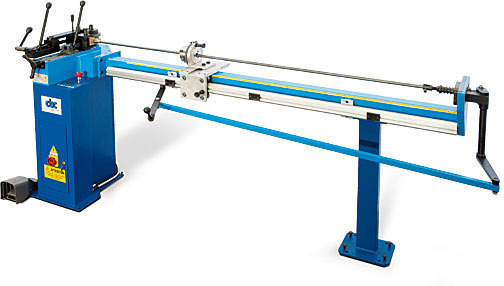 Digital, electric, 3-phase bending machine, quick, powerful and precise. It is the suitable machine to bend thin and delicate pipes with optimal and constant bending radii, with no deformation on bent pipes. -	Digital electronic unit with multilanguage microprocessor for programming, controlling and recovering the bending angle. it is capable of storing 50 bending programs with the possibility to select 9 sequential bending angles for each program. -	Supplied with 1 interchangeable outlet shaft d.32 (code 544455); one reduced shaft (code 544454) optional. Reduced shaft for bending with radii less than 30 mm.